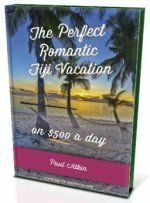 Hotels in Nadi Fiji - Are you on a layover? 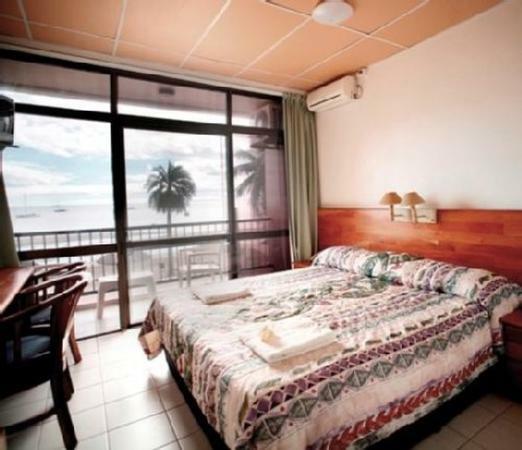 Do you need accommodation for a stopover in Nadi? 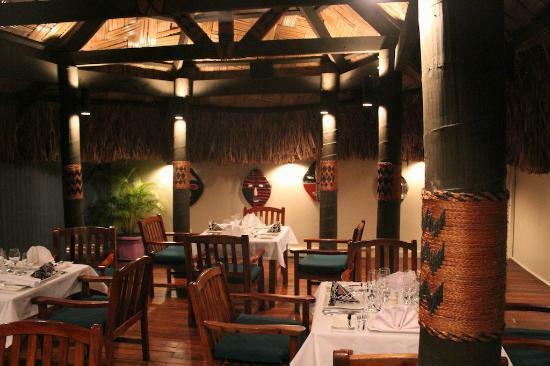 Find out your options with these hotels in Nadi Fiji. 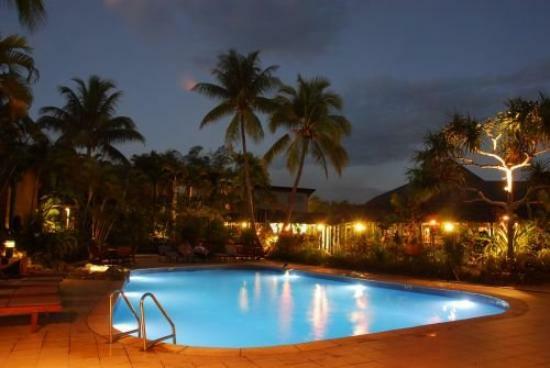 Just minutes from Nadi airport, they're convenient also with budget options. Nadi is the township, and area, close to Nadi International Airport. Nadi airport is where you will be coming into as an international visitor. Below are your hotel options. 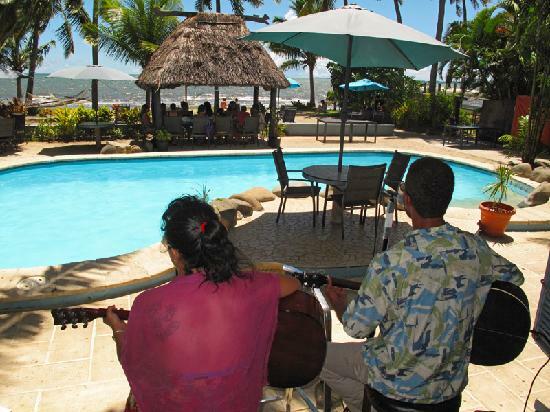 More options including resorts and backpackers can be found in our Nadi Resorts & Backpackers section. 1. 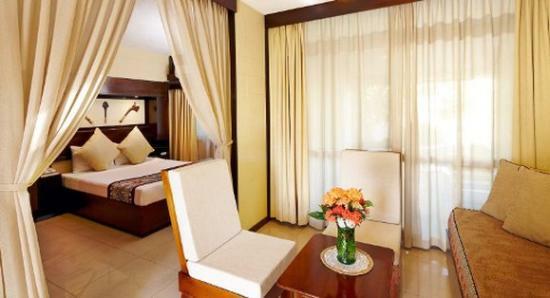 Tanoa International Hotel is just 3 minutes from the international airport terminal. It has an open-air 24-hour restaurant to go along with 148 rooms. 2. 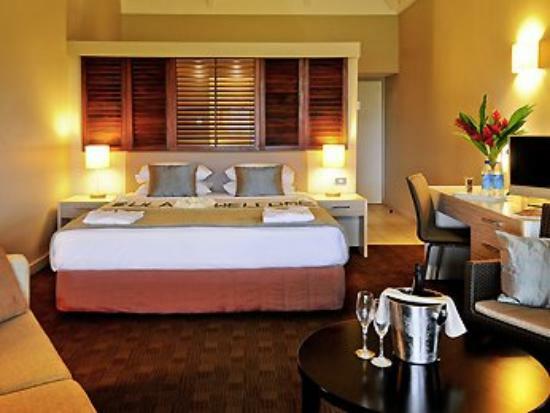 Novotel Hotel Nadi Fiji is a four-star resort style hotel. 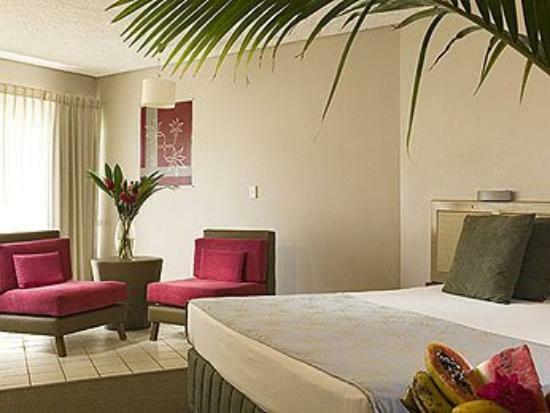 With a relaxing setting it features 127 modern spacious rooms. 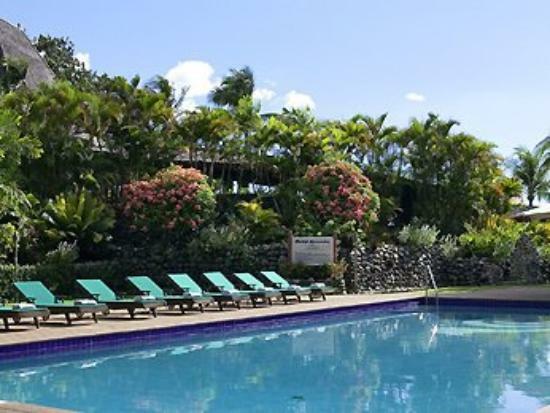 Located just 3 minutes from the airport. 24-hr a la carte service. 3. 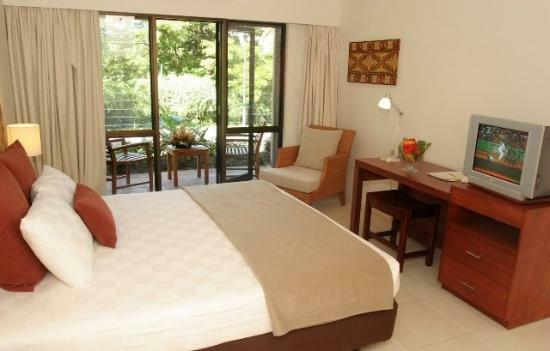 Raffles Gateway Hotel is very conveniently just walking distance from the airport. 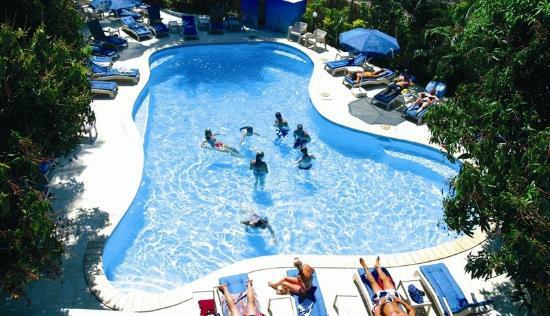 Established in 1969, it has 92 rooms and kids under 16 stay for free. Restaurants close at 10:30 and the bar at midnight. 4. 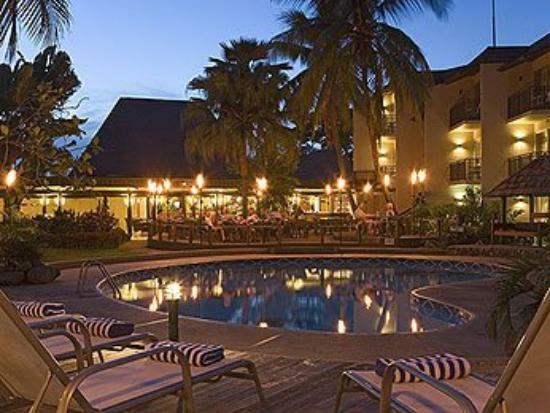 Mercure Hotel Nadi is just 5 minutes from the airport, has 85 rooms, and is set on a 5-acre lush tropical property. Restaurant open until 10:30pm and bar until 11pm. 5. 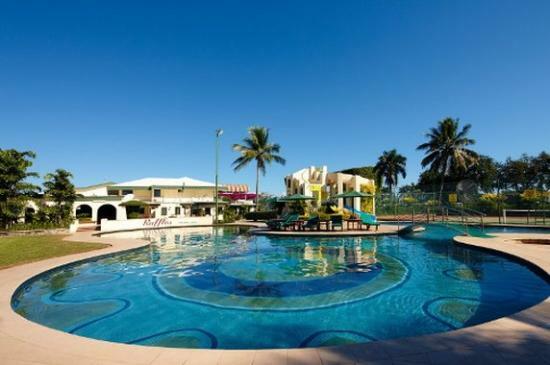 Nadi Bay Resort Hotel markets itself as an up-market budget hotel suitable for independent travellers and budget minded families. Frequented by travellers from all around the world. To get to the beach (I use the term loosely), it takes around 15 minutes from Nadi airport. Don't stay here if solely for the beach. 6. 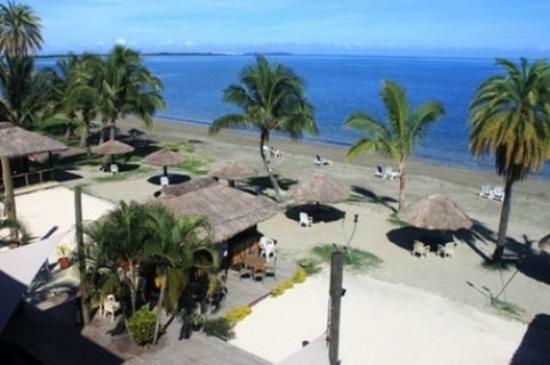 Smuggler's Cove Beach Resort & Hotel has dorms and standard rooms. 24 hour airport shuttle service with breakfast included. Complimentary non-motorised activities. 7. 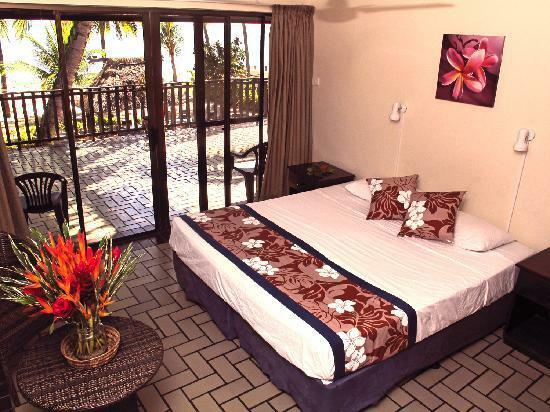 Aquarius on the Beach is a budget boutique hotel on the beach. It has activities to do and hammocks on the beach to snooze on!